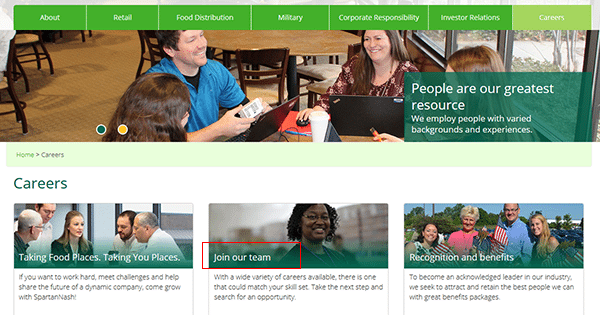 The Family Fare job application is available online (on the company’s careers page). The instructions posted in the section below detail the online job search and application processes. Numerous career types can be applied for including distribution, corporate, and retail positions. Learn more about the online hiring process by reading the reference guide posted below. About the Company: Family Fare is an American supermarket chain based out of Byron Center, Michigan. The company is owned/operated by SpartanNash, a food distribution/grocery retail company. SpartanNash was created in 1917 and operates over 100 retail stores throughout the United States. Step 1 – The first step to the online hiring/job search process is to go to the company’s main careers page. Click here to open this page in a new tab/window. Step 2 – Click the “Join Our Team” link as shown in the below image. 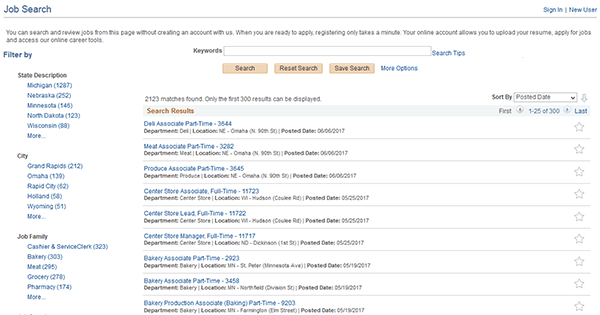 Step 3 – Click the “Search Jobs” button. 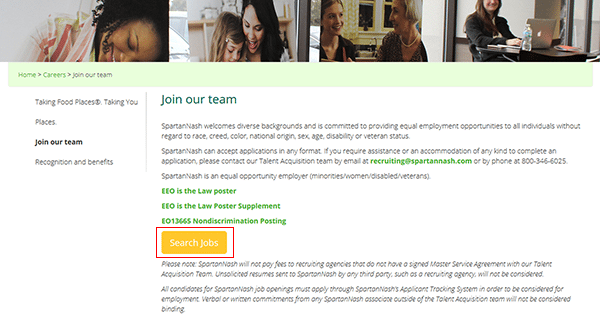 Step 4 – On the main job search page use the options on the left side of the page to filter the results. You can also enter a keyword (e.g. “Family Fare” into the input field near the top of the page). Step 5 – Click the link of the position that you’re interested in applying for. 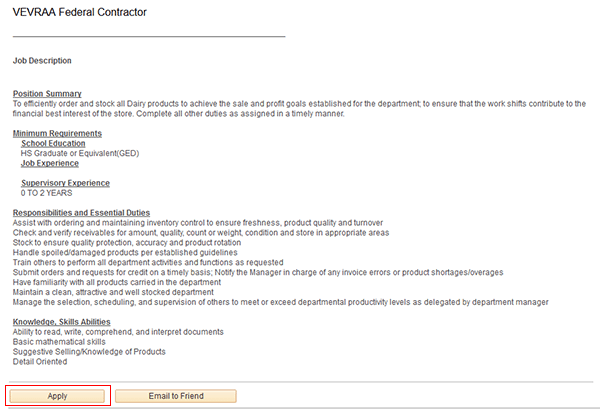 Step 6 – Read the complete job description and then press the “Apply” button to load the next step of the process. Step 7 – Click the “Register Now” link. 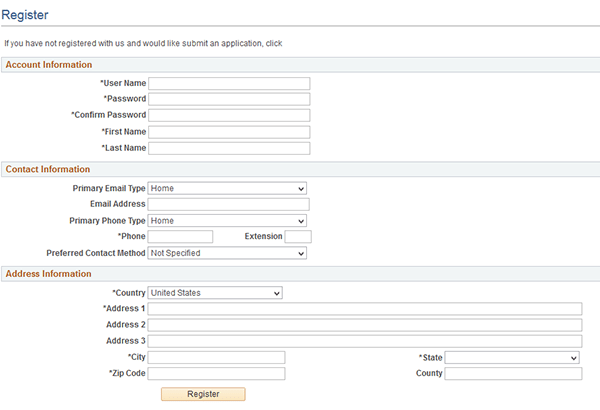 Step 9 – Submit the required information for each section/step of the online application form. After all of the required details have been entered you will be able to submit the application for processing.